You Should’ve Listened To Your Mother! Core stability and strength are keys to performance. A stable base at the core enhances the ability to move and generate power in the arms and legs. 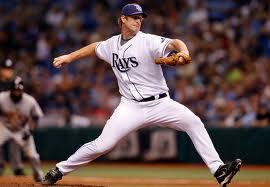 More than 55 percent of a pitch’s velocity is powered from the hips down. Through initial testing, we have shown that improved core stability, as measured with the Perfect Practice device, can help predict a pitcher’s success, as seen in fewer walks and hits per inning pitched and more total innings pitched during the season. The idea for Perfect Practice was born from a need for measuring and training the core musculature in a functional, or upright position. While standard measurements, such as the number of sit-ups a person can do in one minute, provide an indication of core muscle strength and endurance, they do not necessarily correlate to the athlete’s ability to control the positions of the trunk and pelvis over the legs, which are needed when engaged in an athletic activity. Perfect Practice is the first and only self-contained clinical tool available to measure and train core stability in a functional position. It allows the user to receive pertinent biofeedback of the trunk’s position, alerting the athlete to deficits that can lead to injury, pain and dysfunction. Dr. Chaudhari and Chris McKenzie have done the research that proves the Perfect Practice system improves core strength which leads to dramatically improved pitching performance. For details, read their Core Strength in Baseball Pitchers Research which was published in the Journal of Strength and Conditioning Research. Contact us to discuss how to make your team’s practice perfect!